Energy is the fuel that drives you. The Energy Equation explains how we all have the potential to get 15-19 hours of fully-energised waking hours from our day, and shows us just how to achieve it. It determines the speed at which you get things done, the results you achieve, your ability to maintain peak performance and how successful you are. 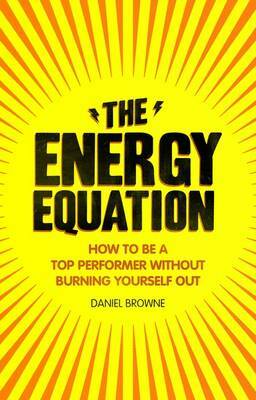 Drawing on both the latest scientific research and ancient wisdom, The Energy Equation delivers a set of powerful techniques you can put to work to maximise that vital fuel. This book holds the key to greater vitality, heightened performance and powerful achievement. It shows you how to achieve a life with more energy, less stress, massively improved productivity and lots more time for you.